University of Ibadan, UI Acceptance Fee Amount, Payment Guidelines and Procedures for all Newly Admitted Students for 2018/2019 Academic Session. Authorities of the University of Ibadan, UI has released the amount payable as ACCEPTANCE FEE by candidates offered provisional admission, likewise the payment guidelines and procedure. 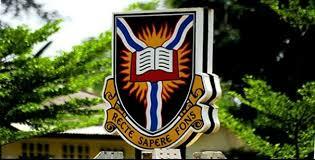 Before you proceed kindly check: University of Ibadan (UI) Admission List for 2018/2019 Academic Session.